Just like any other pregnancy, total wellness is essential throughout the entire surrogacy journey from pre-pregnancy through lactation. West Coast Surrogacy is committed to providing intended parents the comfort of knowing we go to great lengths to assure our surrogate mothers receive the care and education necessary for a healthy surrogacy and smooth birth. We understand the surrogate mother experience first-hand, and we've organized a team of professionals who will guide you through common physical and emotional needs every step of the way, from nutrition and exercise options to high risk pregnancy support. We believe that planning for a healthy surrogacy enriches the overall surrogate mother experience and contributes to a rewarding family-building journey. With West Coast Surrogacy’s Planning for a Healthy Surrogacy program, intended parents are given the peace of mind knowing we are providing their surrogate with the very best tools possible (nutritional programs, mental health counseling, wellness education) they can get to ensure the pregnancy and birth are as stress-free and as healthy as possible. Our experienced and qualified case management staff is intricately involved in every facet of the surrogacy cycle, guiding both the intended parent(s) and surrogate mother through every step of this life-changing journey! 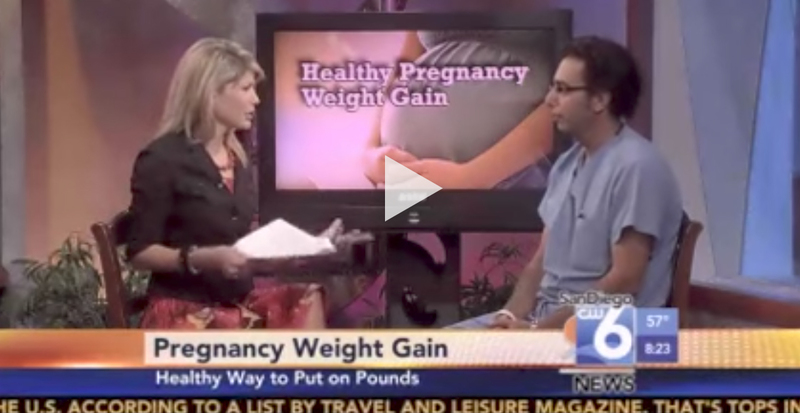 As part of the Planning for a Healthy Surrogacy program, West Coast Surrogacy offers the advice and support services of several health and medical professionals during the surrogacy journey, including Dr. Sean Daneshmand, a consulting physician, Board Certified in OB/Gyn, specializing in Perinatology (Maternal Fetal Medicine). Dr. Daneshmand is a renowned physician whose work in assisting women prepare for healthy, full-term births has garnered national attention and recognition. WCS is thrilled to offer our surrogates a monthly educational conference call series, “Ask the Expert”, featuring Dr. Daneshmand, and other industry professionals. These conference calls provide an hour long Q & A session and are designed as part of our Planning for a Healthy Surrogacy program. The video link below offers a sneak preview of the type of valuable information Dr. Daneshmand covers. West Coast Surrogacy’s Wellness Coaches offer surrogate mothers the very best support system possible. Tina Schneider, a registered dietitian, provides nutritional counseling and support pre-pregnancy, pregnancy and post pregnancy. Monthly surrogate support groups are led by either Ellen Winters Miller, a Licensed Marriage and Family Therapist (LMFT) with first-hand knowledge of the emotional stresses the infertility rollercoaster can bring, Sue Ann Gonis, a Professional Life and Leadership Coach, specializing in providing emotional encouragement to surrogates, or Dr. Amanda Quayle a seasoned psychologist with a 20 year history of helping guide women struggling with infertility, pre-pregnancy and post-partum issues .